eBay has introduced a new service called eBay Now that promises same-day shipping on products that are sold locally. In most instances, buyers can expect to see their order arrive in as little as an hour so long as the store they purchased from remains open for at least half an hour after the order is placed. The new program is currently in beta for residents of San Francisco. The auction site has reportedly been sending out invites to those in the Bay Area for inclusion in the test run although anyone is allowed to register through the signup page. If accepted, you’ll receive a download link for the eBay Now iOS app. San Francisco residents can place an order from any store on the Milo platform between the hours of 9am to 9pm Monday through Saturday and 9am to 6pm on Sunday. According to TechCrunch, the service is only offered for purchases that exceed $25 but early adopters will receive $15 off their first purchase and free shipping on the first three orders. After that, a $5 flat rate fee is applied to each order. Participating retailers include Best Buy, Target, Toys’R’Us and Macy’s, just to name a few. 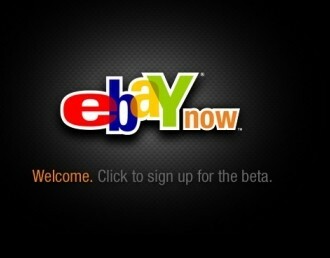 If the beta proves successful on a small scale, we can expect to see eBay Now roll out to other large cities. Rival e-retailer Amazon already offers a similar service called Local Express Delivery in select cities. Amazon Prime members can receive same-day delivery of eligible items for $3.99 per item.